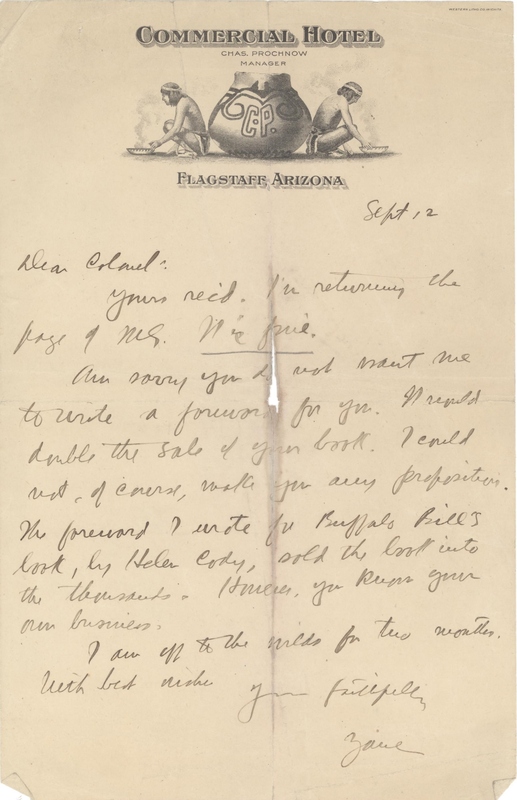 Lot Detail - Zane Grey Interesting letter, about Buffalo Bill's book and sales. 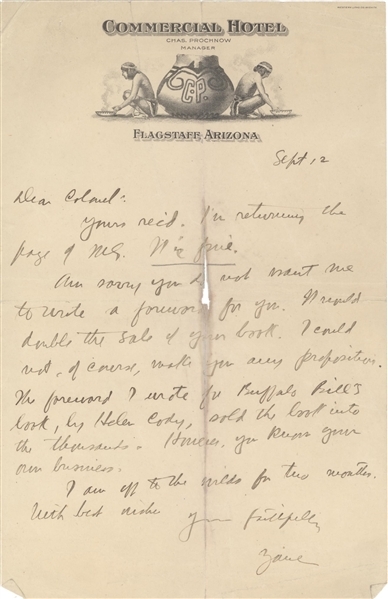 Zane Grey Interesting letter, about Buffalo Bill's book and sales. The letter is quite interesting it is written to a colonel in reference to a book he had written,. Zane go on to say "I am sorry you do no want me to write the forward for you." He states "it could double the sale of your book. I could not, of course make you any propositions. The forward I wrote for Buffalo Bill's book,by Helen Cody, sold the book into the thousands. however you know your own business. I am off to the wilds for two months with best wishes. Yours Zane . The letter is written on a interesting letterhead form Commercial House in Flagstaff Arizona, showing Indians dated September 12th around 1919, and does have a small area of missing paper and toning, otherwise in good condition.